Last call to publish in the 2018 San Diego Poetry Annual. Deadline is Oct. 15. Find all the details here. 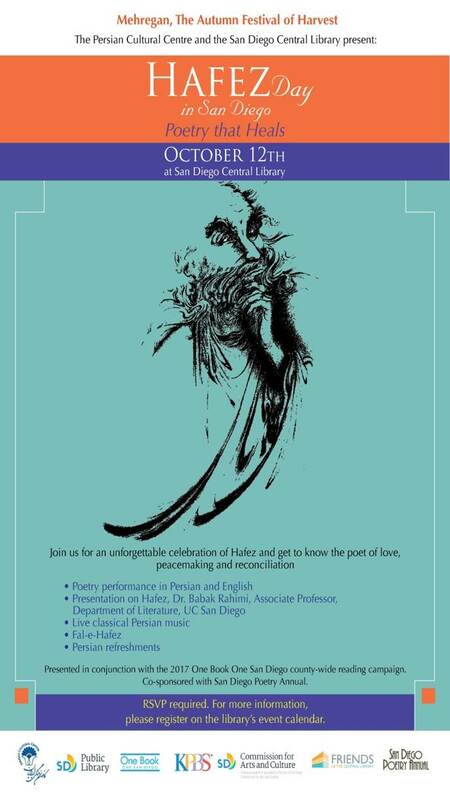 Join us for Hafez Day downtown at the Central Library on Thursday, Oct 12. Come read and enjoy the celebration. Please click to see the attached flier and RSVP here. Rise Up 2 at the Casbah was a powerful show! I read with Julie Corrales, Al Howard, Ted Washington and the founders of Black Xpressions. Special thanks to Tim Mays and Ben Johnson. Al Howard on stage at the Casbah at Rise Up 2 on Sept. 16. Poetry & Art, Nov. 10! Mark your calendar! Details.